Hello Ma'am, Welcome to Writer's Destination. Parul: Thank you so much! Q1. Please tell us something about yourself. A1. I have been born and brought up in Kanpur, U.P. I have done B.Tech and MBA from Kanpur itself. 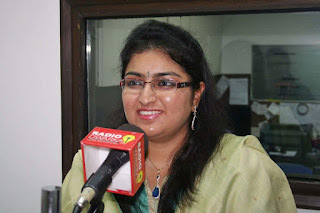 I worked in Delhi for some time and after marriage (2008) I have been residing in Kuwait. I lost my mother in 2002, and my father too succumbed to a disease in 2010. But, I have been blessed with a loving family on my side as well as from my in laws side. My interest in hindi poetry developed since childhood, reading my mother's poems. She used to write beautifully. And till date, she has been my inspiration throughout. A2. I do not have a professional qualification in Hindi or literature. I have studied in a convent in ICSE board, where I had Hindi as a subject only till class 10th. So it is challenging for me to express myself in Hindi, but I love the language and its expression, so I keep trying to read more and more and try to improve myself constantly. A3. I used to write as a child, in my schooldays. But, the plight of losing my mother shook my belief in everything beautiful in the world, especially poetry, which was her gift to me. I stopped writing for a long time, for years I didn’t write anything. Then my daughter was born, and something in me told me that she is the inspiration I had lost. I picked up the pen again in 2014 and since then, there is no looking back. A4. I do not write specifically for a book. I keep writing on daily basis. Anything around me that touches my heart and soul, comes out in the form of words. When I feel I have enough matter ready for a book, I give it for publishing. 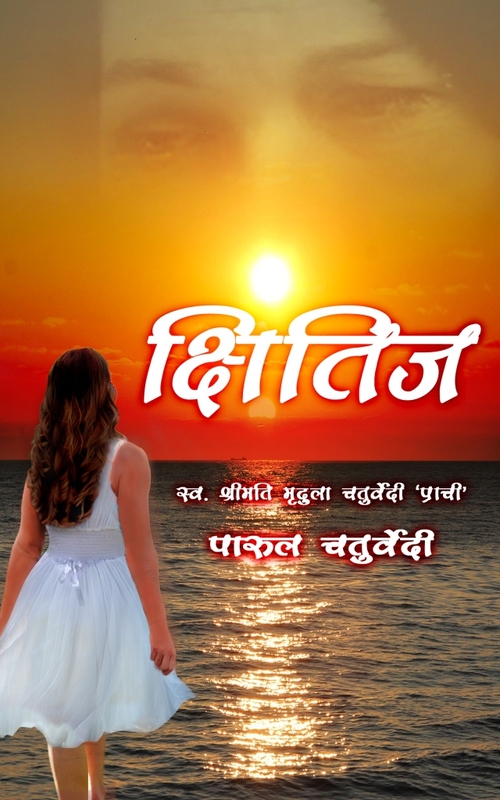 I have published 2 books in 2 consecutive years now. A5. I need solitude to write. Solitude doesn’t mean I should be alone, but solitude within myself is what I need. I can be solitary within myself even when I am among 10 people. So it just takes a thought or a trigger and I venture into my own world. A6. Writing was not something I chose. I have been inherited with it. It’s truly inborn, because I never thought I would be publishing books. I used to tell my mother as a child, that she should be getting her poems published. But, she would dismiss the suggestion saying that when you grow up, you get my poems published in your name. I would also dismiss that suggestion as a mere wandering thought of hers. A7. When I again started writing in 2014, my mother's words came back to me. I thought may be this is the reason poetry has come back to me. It was then that I decided to publish a book with her name as well as mine. That’s how Kshitij, my first poetry collection was born. It contains my poems, as well as a few selected poems of my mother too. 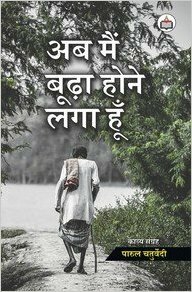 A8.Mysecond poetry collection Ab Main Boodha Hone Laga Hoon, has just been released, published by Authorspress. It contains poems in different genres, such as emotional, patriotic, introspective, squids on society, songs etc. 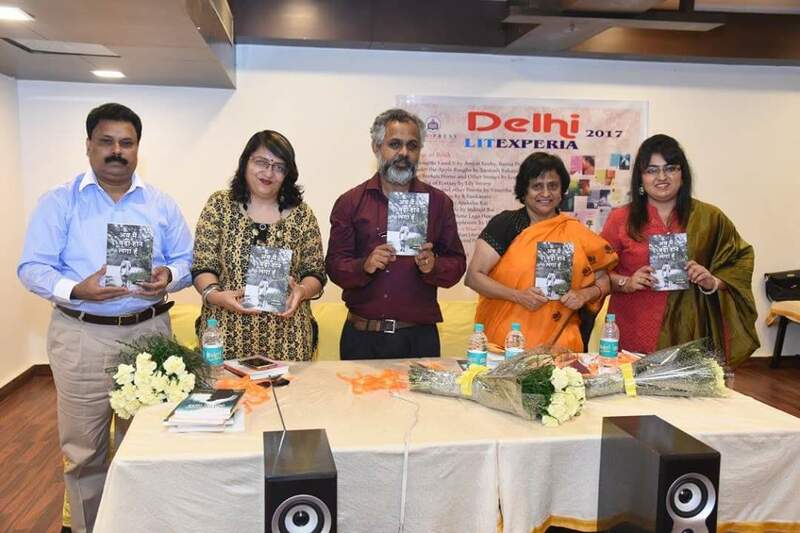 The poems are bound to touch the readers' hearts and they can be well related to the thoughts and events of our daily lives. A9. My best accomplishment is to finally get some of my mother's poems published, which she could not do in her lifetime, as in those days publishing was not so easy. 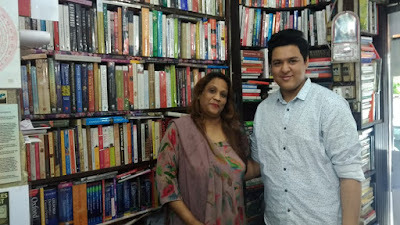 Apart from that, I had been invited on Radio dwarka, on an online radio programme named Abhivyakti, where I was interviewed and was asked to recite my poems. That was one of the most memorable moments. A10. I do write English poetry too and I am presently working on an English novel. Fingers crossed, I hope to complete it soon. Most people don’t know about it yet. A11. My page on facebook is the best place to read my writings and get in touch with me. A12. Writing a book of poetry is not hard at all, because poetry just flows from within. So I can’t say I found anything that was hard while writing it. A13. Oh, it’s great. With so many options online, with social media awareness, people are reading and writing like never before. Internet has opened so many avenues for readers and writers, which was lacking for our earlier generations. So I’m sure the future if reading and writing is great. A14. I would never have stopped writing in that gap between 2002 and 2014. I missed a part of me all through these years. I wish I could go back and start again, and never ever stop. A15. It was great interacting with you. Thanks a lot for this opportunity. You are a great writer, and you have accomplished a lot for your age. I wish you all the best in your future endeavours. A16. I like to read. I love books, the feel and smell of books is intoxicating for me. A17. If I had to choose, I would be choosing Gulzar saab as my mentor. But then, every writer would like to choose him. He is a living legend of poetry. A18. I’ll share one of the poems from my recent book. It’s a squid depicting the injustice prevalent in the world. दुखी हैं अच्छे लोग यहाँ और सुखी सदा हैं क्यों भोगी? उनके लिखे हुए की फिर क्या प्रभु जाँच भी नहीं करते हैं? पर क्या अफसर तेरे वो दस्तावेज़ संभाल के रखते हैं? आस्था भी तेरी छूट गई तो हाथ ये पकड़ेंगे किसका? आने वाली पीढ़ी को फिर किस बात से तुम भरमाओगे? सोचो क्या होगा घड़ा अगर सबके पापों का फूट गया? A19. 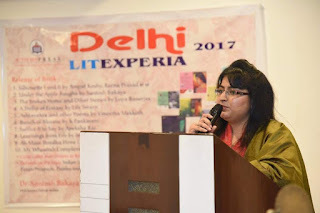 The biggest surprise for me was that unknown people came up to me and expressed their appreciation for my poems in such kind words that it made me feel honored. Someone, once compared me to Mahadevi Verma ji in my writing style, that was quite a surprise and a big honour for me. Q20. Anything else you would like to add that I haven’t included? A20. Nothing as such. Both my books are available on Amazon for online purchase. I would love to hear reviews from people who read them. A21. My advice would be to just keep writing and getting published without thinking about monetary returns. Your value addition to the literary world is what matters. A22. I would just say that I try to write about things that touch my heart, in a very straightforward and simple manner, my words would not be heavy but they tend to make great impact. So do read my poems and if they touch your heart as they have touched mine, my purpose is fulfilled. Thanks a lot dear. It was a pleasure for me too.